When people hear the word “dentures”, they often think of the loose, uncomfortable appliances their grandparents wore. Yet, with newer technology we have been able to make dentures easier to wear, more comfortable, and more stable than older versions. At Kingsway Family Dentistry, we provide our patients in the Edmonton, AB area the best and most current in denture technology so they can have their functioning, beautiful smile back. They are loose – Many people think dentures are loose and make clacking noises when those wearing them talk or laugh. Our dentures aren’t loose and are custom fitted to each patient in order to achieve a strong and stable bond between the dentures and your gums. If they are loose, it means they aren’t fitting correctly and need to be adjusted. You have to avoid certain foods – With older dentures, it was best to avoid biting into harder foods such as apples and corn on the cob because they didn’t have enough grip to stay in place. With newer dentures, you can eat whatever you want without fear that they will come loose, or worse, fall out while you are eating. They are uncomfortable – Even though it is always best to take your dentures out while you sleep to give your mouth a rest, dentures should never be uncomfortable or painful. Because our dentures are customized to fit your mouth perfectly, they should always be comfortable throughout the day. If you are experiencing pain, see your dentist right away. They look unnatural – When people picture dentures, they often see unrealistically white teeth stuck into unnaturally pink gums. Newer technology has allowed us to give your dentures a more natural look so no one will be able to tell that you are wearing them. 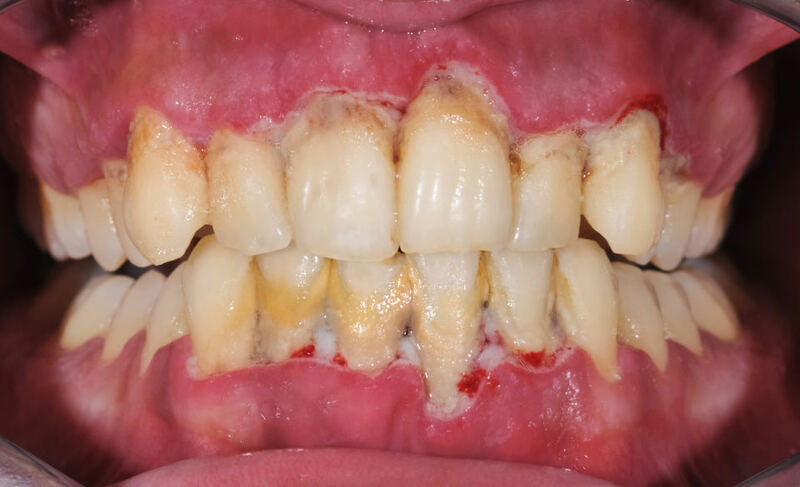 When you lose one or more teeth it can be bad for your oral health and the functionality of your teeth, making you self-conscious of your smile. We can replace all of your missing teeth with natural looking and comfortable dentures. If you would like more information about dentures or to schedule a consultation, please contact Kingsway Family Dentistry. Trying to find a new dentist in the Edmonton, AB area can be an overwhelming task, especially if you are not sure what to look for. It is important to find a dentist that will meet your needs whether you need specific services, flexible hours, or a family dentist. At Kingsway Dental Centre, we do our best to fit the needs of all our patients without having to refer them to another office. Services – It is important, when searching for a new dentist, to have some idea of the services you will need in the near future. If you have children, look for a family dentist. If you would like a smile makeover, choose a dentist that has several cosmetic dentistry services. 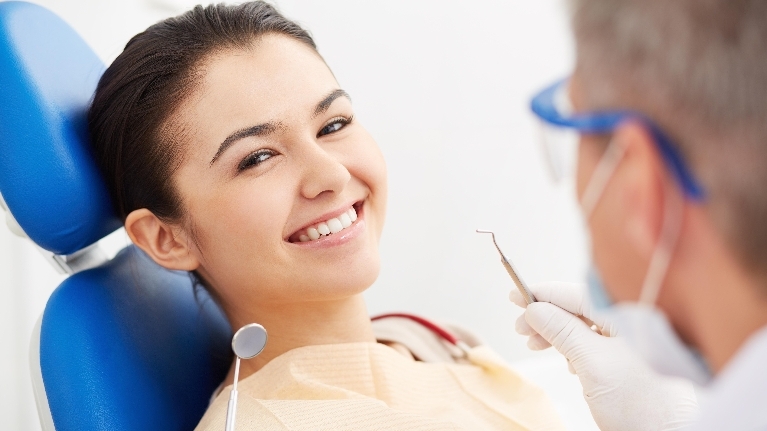 We offer several services from routine cleanings to in-office oral surgery. Convenient hours – It can be difficult to take time off every time you need to see the dentist, especially if you have children that will also require dental care. All that time off can add up quickly, which is why we offer our patients evening and weekend appointments. Your sick time is valuable, and we don’t want you to use it just for your regular cleanings and exams. Reviews – One of the best ways to get information on how good a dental practice is, is by looking up reviews. Generally, people do not hold back when reviewing certain services, and dental reviews are no different. We have great reviews on Yelp, Google, and Facebook so you can see what current patients think about our office, and why they come back. Visit the office – A great way to see if a dental office will be right for you is to visit. Just sitting in the waiting area, getting a feel for the atmosphere, paying attention to how the staff treats patients, and seeing if patients seem happy, can all be helpful in choosing a good dentist. We put our patients first. At Kingsway Dental Centre, we make sure our patients are comfortable, relaxed, and are receiving the best care available. If you would like more information about our office, or to schedule an appointment, please do not hesitate to contact us today!